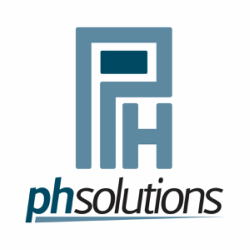 Located in Central Florida, PH Solutions, LLC assist dozens of regional and national non-profits each year. We specialize in plugging the gaps our organizations face in regards to personnel, expertise and leadership - helping each agency achieve more. Our services are completely customized to the specific gaps and needs of each agency we work with. The PH Solutions team believes in the value of our "third sector." However, we see our non-profit brothers and sisters held back by lack of resources and expertise. We are committed to providing leadership, support and hands on assistance to help our partner organizations thrive. Recognizing the need in our local community for strong fundraising and data management expertise, PH Solutions was born out of the brains of Holly Parrish, CFRE and the late Paula Higgins, CFRE in an effort to elevate philanthropic work in Polk County, Florida. Little did they know how far their idea would reach - far outside Lakeland to Maryland, Texas, Michigan and beyond.